Meet Betty Bunny, a loveable handful nobunny can resist. From author Michael B. Kaplan, creator of Disney's T.V. show Dog with a Blog, comes the debut picture book of the Betty Bunny series. It's a story about patience--seen through the eyes of a precocious preschooler. Betty Bunny is the youngest in her family of rabbits and she's just discovering the important things in life, like chocolate cake. She declares, "I am going to marry chocolate cake" and takes a piece to school with her in her pocket. Mom values healthy eating and tells Betty Bunny she needs patience when it comes to dessert. But Betty Bunny doesn't want patience, she wants chocolate cake! 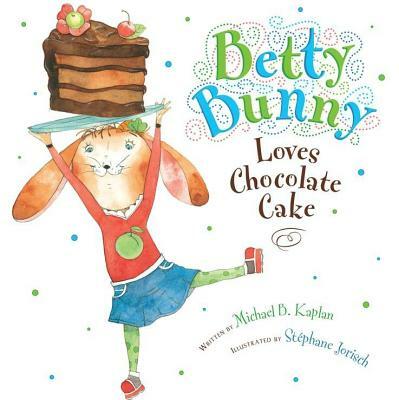 In this funny tribute to chocolate lovers (and picky eaters), Betty Bunny's charming perspective on patience will be recognizable to anyone with a preschooler in their life.